A biographical musical, The Greatest Showman celebrates the life of circus impresario P.T. Barnum. The son of a tailor and orphaned at a young age, Barnum dreams big and falls in love early with Charity, the daughter of his father's aristocratic client. They stay in touch through her school years, then Barnum (Hugh Jackman) and Charity (Michelle Williams) get married, settle in New York City and have two daughters. When he is laid off from an accounting job at shipping company he risks everything to open a museum of wax figures and stuffed animals. Business is slow, and his daughters encourage Barnum to add more living things and sensations. He recruits freaks and outcasts, and the museum becomes a big hit but also draws protests and scorn from critic James Bennett (Paul Sparks). Barnum convinces respected playwright Phillip Carlyle (Zac Efron) to join him as a junior partner to help attract a more high brow audience. On a trip to London Barnum recruits Swedish singing sensation Jenny Lind (Rebecca Ferguson) for a grand tour of the United States. He starts rubbing shoulders with society's elites, but also drift away from Charity. 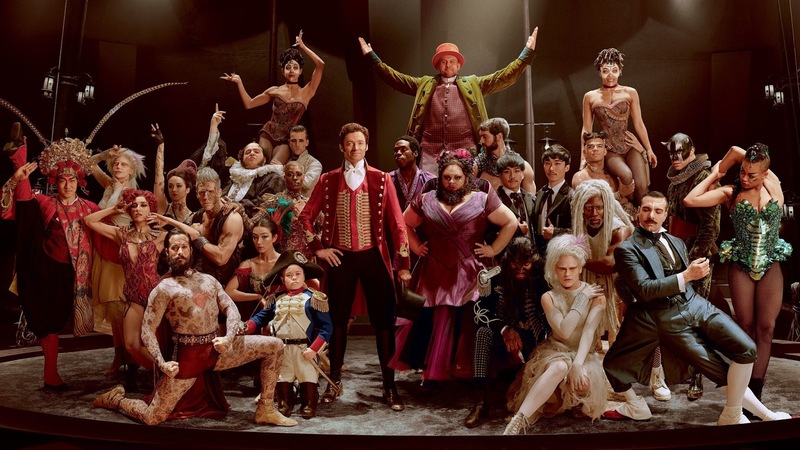 Directed by Michael Gracey (with an assist from James Mangold, credited as Executive Producer), The Greatest Showman took eight years to make it to the screen but arrived just in time to unabashedly reaffirm diversity's value at a time of social division. While the story is loosely inspired by Barnum's life, the real message is that every person is a treasure, in whatever shape, size, or colour. The circus world as a whole and Barnum's shows in particular may very well have exploited people who are different. The film skates over the questionable profit motives and instead embraces the opportunity for the outcasts of society to step forward and enjoy the spotlight. The film's feel-good energy stemming from the spirit of the underdog is irresistible. As for Barnum's story, this is a conventional arc about a man trying to fill the gaping hole in his soul caused by childhood poverty, and stretching beyond what is necessary. Barnum's talent is such that he is successful at whatever he does, but he will need to learn that not all accomplishments equate to increased happiness. 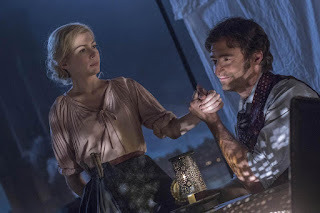 Gracey deserves credit for delivering a relatively content-rich musical without bloat, as The Greatest Showman clocks in at a very reasonable 105 minutes. The musical numbers are surprisingly good, well-timed and short. A Million Dreams, The Other Side and showstopper This Is Me are delivered with joyous conviction, the singing powerful and the choreography simple but effective. In terms of pure artistry, the duet Rewrite The Stars allows Efron and Zendaya (playing Carlyle's potential lover, her skin colour a scandal for his social circle) to literally soar. The performances are more about enthusiasm than craft, and Jackman does not disappoint with a high energy portrayal of Barnum fueled by eternal optimism. Williams plays along, less convincing in the singing numbers but credible as the family anchor. Efron and Zendaya offer athletic support. Uncomplicated, honest and well produced, The Greatest Showman may not be an accurate history lesson but it is an exuberant shout in favour of a society enriched by unique individuality.